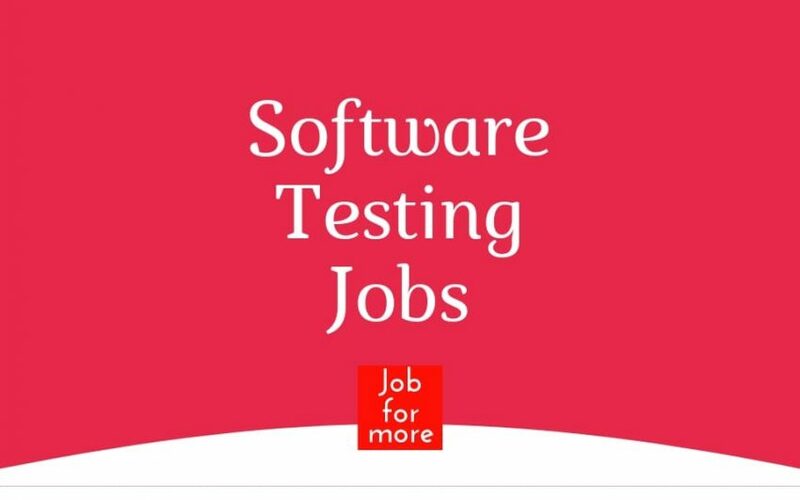 Are you looking for Manual Testing Jobs in Bangalore, Ahmedabad, Pune, Mumbai, Hyderabad, and Chennai?? See the Full Post. Pylon Management Consulting Pvt Ltd.
Will be responsible for the overall delivery of the project from offshore. Will be responsible to work with the onsite team to manage the client expectations for offshore QA / Test Automation projects. Will be responsible for optimum utilization of resources. Hands on knowledge of testing tools and methodologies. Expertise in test automation and tools usages like QTP, UFT, Selenium, SoapUI Pro, JIRA, Quality Center and ALM. Hands on experience in Test Automation frameworks Selenium & Cucumber, UFT, etc. Experience in Performance & Load Testing for backend systems is preferred. Experience in any ERP Implementation testing of functional modules Oracle or SAP Financials/HRM/CRM/SCM etc. Candidate will be expected to understand the requirement and create Test Cases. Test case execution, Smoke testing, Exploratory testing, Performance testing, Functional Testing. Independently write automated test scripts. Plan, design and execute automated test cases independently. Test the product manually to understand the product functionality and identify the parts that can be automated. Execute and schedule automated test runs as required. Examine test logs, analyze and maintain the scripts against failures. Record test results and report and verify software bug fixes to accept automation criteria. Maintenance of automated regression suites/packages to be compliant with changing requirements and features. 3. Familiar with excel, word, SQL, and system processing functionalities. 4. Should have an inclination towards Financial domain, particularly Capital Markets and trading operations and systems. skills in Project Costing, Contracts, Billing, AP, AR, GL, TM & EX, Asset Management, and Purchasing. Good understanding and experience in the business process flow, Configuration, functional spec preparation, testing, support experience. provide issue resolution and production support. PS Query and SQL skills required. Functional spec preparation, functional testing, support experience. provide issue resolution and production support. PS Query and SQL skills required. Good communication skills should be able to effectively communicate with customer and end users. Should be ready to work 24* 5 model including night shifts. 1. 5-7 years plus experience in functional testing. 2. Around 4yrs experience in mainframe testing which includes experience in running batches and jobs. 3. Good experience in Life and Pension domain or Banking is the must. 4. Should have good experience in designing Test data, writing test cases. 5. Good experience in defect life cycle. 7. Good experience in managing customers/stakeholders. 8. Good understanding of STLC. Address: Sopra Steria India, 2/G-2 SIPCOT IT Park – Siruseri, , Kelambakkam (Off Chennai). We are recruiting passionate, committed & talented candidates with 0-2 years of experience as a Software Tester. Excellent understanding of SDLC,STLC,Agile & Scrum. Experience in Java, OOPS, MySQL Queries, JIRA, Test Plans / Cases & UAT is a must. Knowledge of Selenium Automation Testing is an added advantage. Good Communication & Client Interaction Skills. Address: B/602, Oxford ChambersOpp. MTNL Telephone ExchangeSakivihar Road, Powai Mumbai, Maharashtra, India 400072. Biesse Manufacturing Co. Pvt Ltd.
and ensure the testing of machines in line with the same. order to assure machine performances. the machine as per the standard timelines. The QA technician role plays an important part in the company’s product development. Trawex is looking for a highest energy Test Engineer/ a Quality Assurance (QA) Specialist to develop and execute exploratory, automated tests to ensure product quality. The incumbent will primarily be responsible for leading end to end Quality Assurance (QA) activities for Eaton’s SAP system addressing QA needs across all sectors (Electrical, Industrial, and Corporate) for the SAP and EHS initiatives (ECC, EHS, Cloud, Support Packs).